Showing off your gorgeous smile lifts your spirits and brightens the day of those around you. We want you to always feel like smiling, but if you suffer from cosmetic dental issues such as stained, chipped, gapped, or crooked teeth, being self-conscious probably prevents you from doing so. Offering a range of cosmetic dentistry procedures, Dr. Byron McKnight knows how to fix your smile imperfections and will have you lighting up rooms with your bright, beautiful smile in no time. Rejuvenate your spirit while we rejuvenate your smile. 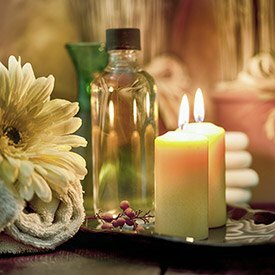 Our office offers spa amenities to enhance your cosmetic dentistry experience with services that include aromatherapy towels and an on-site massage therapist. Our relaxing atmosphere will help ease any tension during your cosmetic bonding, teeth whitening, or porcelain veneers procedure. Dr. McKnight can handle even the most complex cosmetic cases, so if you haven’t been to the dentist in a while, no need to fear. And, if dental anxiety has you avoiding a much-needed smile renovation, take heart. Our office offers sedation dentistry to help you get comfortable and let go of worry. Teeth that line up the way they should look better, are easier to clean, and also promote better jaw health. 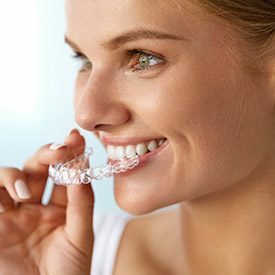 If you are dealing with gapped, crowded, or otherwise misaligned teeth, it may be time to consider your options in orthodontics. We offer solutions for patients of all ages. If you are unhappy with the appearance of your smile, a dazzling solution is in sight with porcelain veneers. These are thin, tooth-shaped coverings that are affixed to the front side of imperfect teeth. Completed in just two visits to our office, porcelain veneers provide a dramatic transformation — and they can last for many years with the proper maintenance. 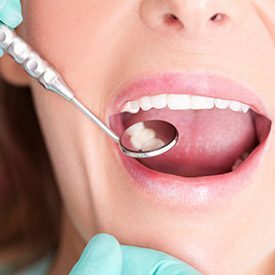 If you have a significantly damaged tooth in the front of your mouth, you need a solution that can renew its strength without taking away from the overall appearance of your beautiful smile. Metal-free restorations offer a wonderful solution. With an E-Max, Lava, or Feldspathic crown, Dr. McKnight can successfully restore a broken, decayed, or otherwise damaged tooth without the use of metals or other visible materials. Direct bonding provides a non-invasive solution for minor cosmetic imperfections that take away from the appearance of your smile in a big way. Using a natural-looking composite resin, Dr. McKnight can rebuild and reshape missing or damaged tooth enamel in a single appointment. 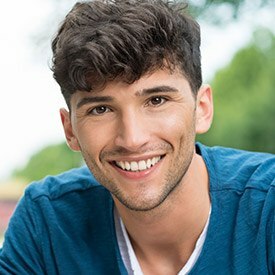 Direct bonding offers a wonderful alternative to porcelain veneers for patients who are not able to invest as much — and the results are just as stunning. 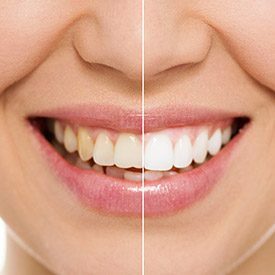 A professional teeth whitening treatment can reveal a brighter and more youthful smile in as little as 2 weeks. 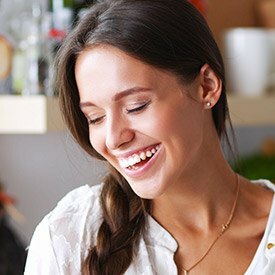 We prefer KöR Teeth Whitening, which reduces tooth sensitivity and offers a number of customizable options to ensure the process suits you, your needs, and your lifestyle best. The KöR treatment can erase even the most severe stains, like those caused by tetracycline, for a bright smile that lasts and lasts.